There’s a high degree of difficulty in skillfully remixing a classic, and the new adidas Pro Primeknit absolutely sticks the landing. 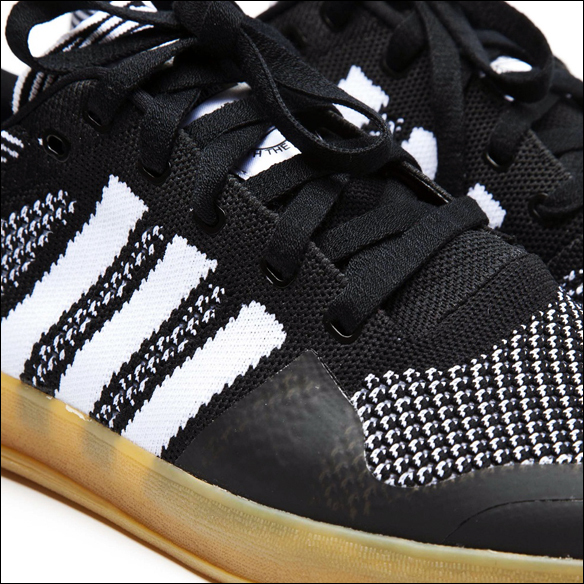 A skate-meets-soccer collaboration with London-based Palace Skateboards, it combines an indoor sole from the iconic Gazelle with a molded sock-liner, ZX Flux heel counter, and a woven Primeknit upper. It’s essentially a lighter, more breathable version of my all-time-favourite / go-with-everything Sambas, and I definitely need to land a pair.